New MPLOT: fixes some bugs. Improvements and upgrades to TRV breaker. Improvements to View Steady State option. Now the global option (Device Steady-State options) allows to eliminate previous selections. It will also refresh automatically. Fixed a bug related to automatic detection of voltage base when the system is very unbalanced. ZnO: fixed a bug for requesting energy observables. 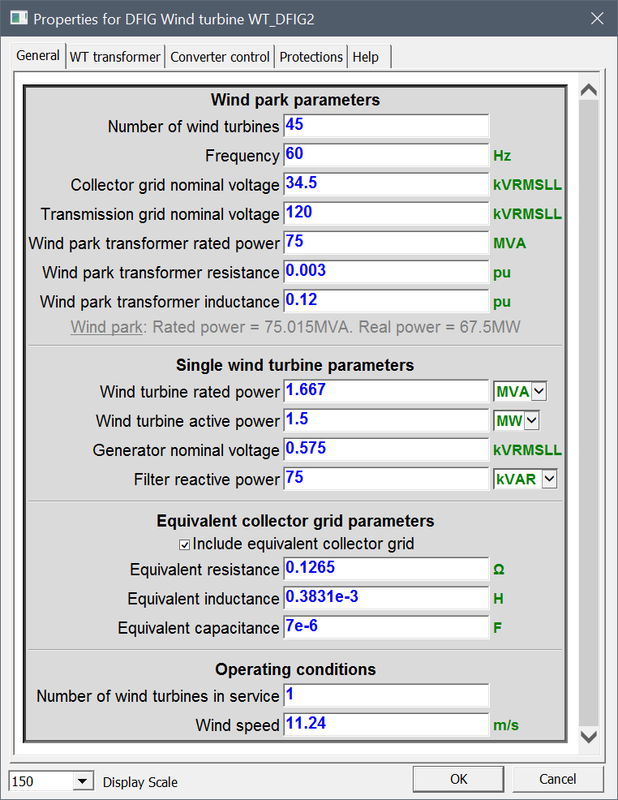 Wind generator models: fixed a bug related to checkboxes. The checkboxes were remaining on even when off was requested by users. Wideband line/cable model: fixed a memory leak. The model was not running for some cases with many phases. This was actually a compiler bug. Fixed a bug that was causing the Quick Find tool to freeze in some large designs. Fixed a bug related to the device Ideal unit m-windings transformer. It was not working in 4.0 due to a script error with protection method. This issue could be important also for protected wind turbine or other manufacturer models. This issue was related to the internal method copyProtectionData. 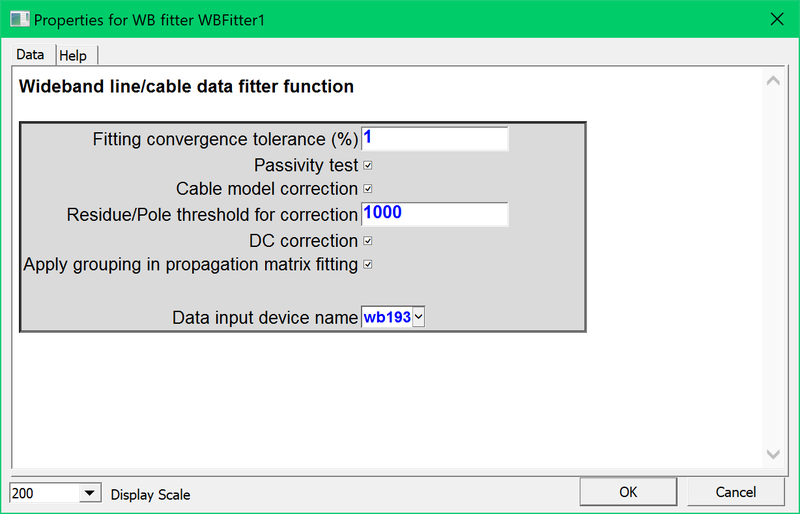 Fixed a bug related to Wideband Line/Cable model when using the Statistical option. Corrected the example case network230LFSM.ecf. It was causing an error due to Statistical option. Also same copy with Exciters And Governors Toolbox. EMTP 4.0 contains many improvements on several fronts. The GUI EMTPWorks now allows to draw diagonal signals (at any angle) and offers new line editing features. 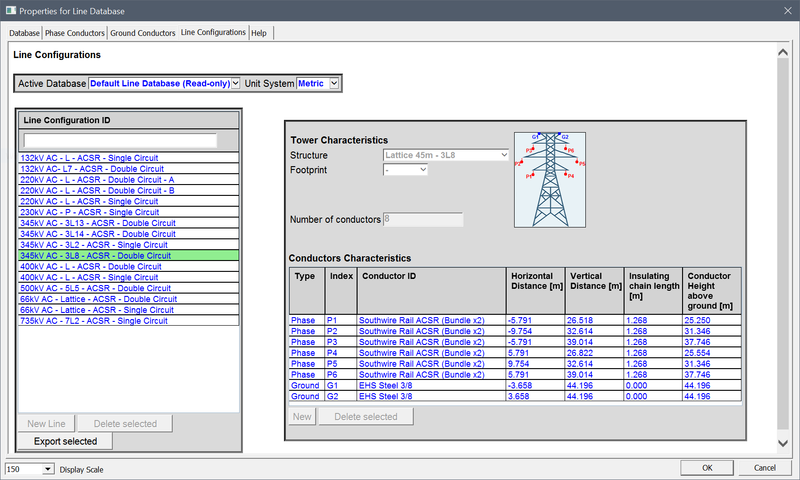 This will simplify the drawing tasks for large scale transmission and distribution grids. The new View Steady-State tool offers many new load-flow and steady-state visualization options. The new Wideband transmission line and cable model with its new fitter is a major milestone. It delivers the most stable and accurate model in the industry for switching and lightning transients. It also delivers higher accuracy for DC cables in HVDC transmission. 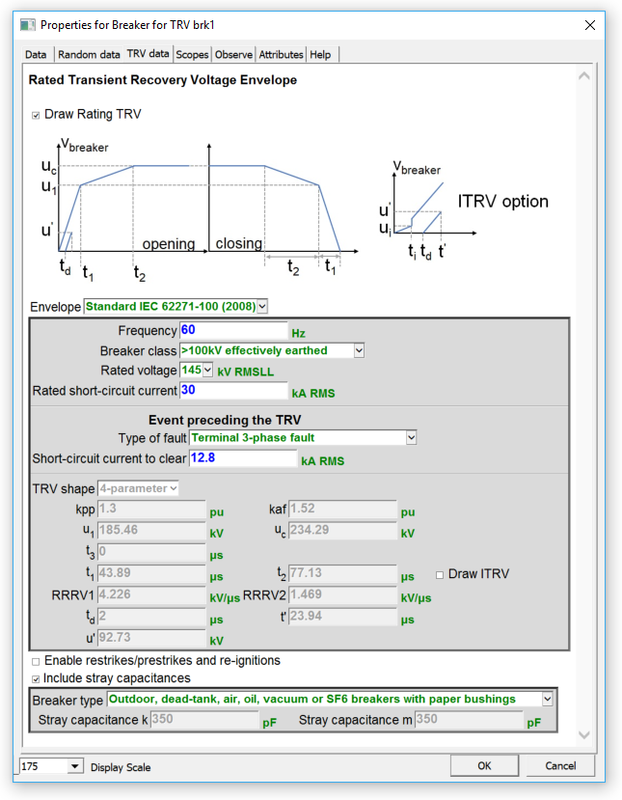 The new TRV breaker contains the TRV standards in its mask and simplifies engineering tasks for TRV simulation and analysis. The new line differential relay allows protection engineers to setup and test line relays to avoid spurious tripping during line energizations, current transformer saturation, etc. New Wideband Line/Cable models: new fitter and new model, more stable, more accurate, the most efficient and accurate model! Updates to Wind generator models. New View Steady-State tool: shows sequence currents and phase currents, automatic subnetwork view, new reporting features. The new Wideband transmission line/cable model with its new fitter is a major milestone. It delivers the most stable and accurate model in the industry for switching and lightning transients. It also delivers higher accuracy for DC cables in HVDC transmission. New TRV breaker: TRV studies made easy! 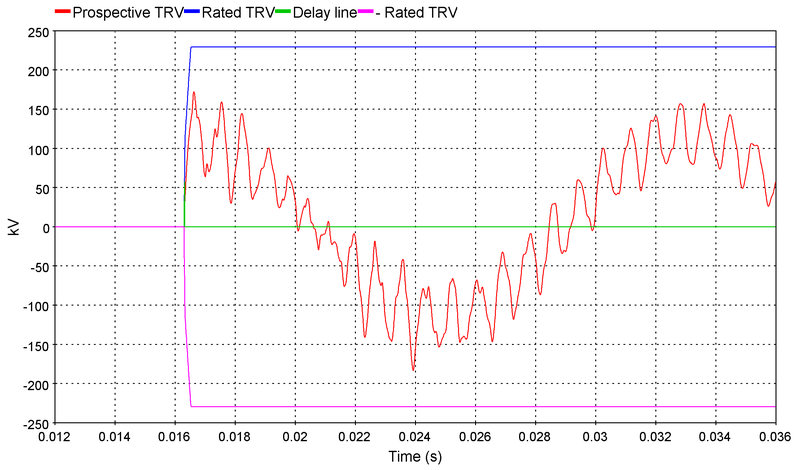 The new breaker for TRV helps engineers to interpret their TRV simulation results. It draws on the same graph the system prospective TRV obtain by EMTP simulations with the circuit-breaker rated TRV obtain from IEC 62-271-100-2008 and IEEE C37.006-2008 standards. Without any efforts, engineers can complete the full TRV analysis without having to interpret the circuit-breaker standards. The new line differential relay allows protection engineers to accurately verify their relay settings toward challenging scenarios like line energization or current transformer (CT) saturation. They even have the option to display the Alpha Plane to verify the restraint. Please note that any version anterior to 2.2.1 cannot be upgraded anymore. EMTP is constantly being improved to achieve highest accuracy levels and computational performance. New models and features are added to deliver to the users the most up to date analysis capabilities for modern power systems. Applications include small and large scale power system problems. New detailed Current Transformer (CT), Voltage Transformer (VT) and Capacitive Voltage Transformer (CVT) models are added to the «Transformers library» in both 1-phase and 3-phase versions. 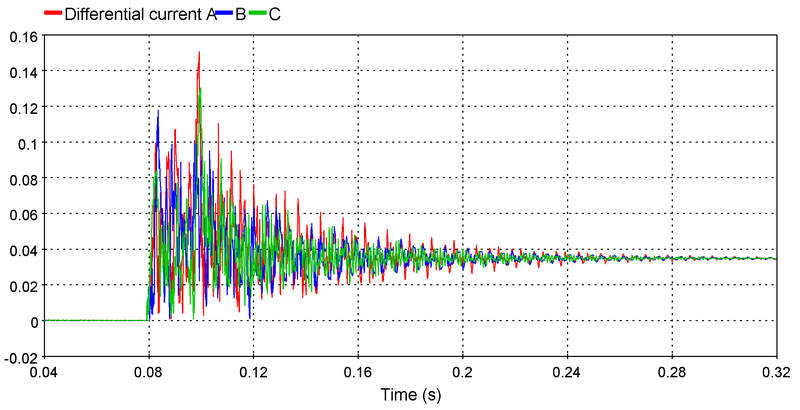 The models are based on IEEE and ANSI standards and include nonlinear properties (saturation). Bundles are easier than ever! It is now possible to connect directly into bundles without using breakouts. New options allow to create and modify connection pins and signals. The new «Bundle Connection» window make easier the connection and routing of bundles containing numerous signals. It helps the user to efficiently build complex multivariable control systems. Many new scripting methods for various applications, including design, device and library functions. EMTP is now compatible with the Functional Mock-up Interface (FMI) standard. The aim of the FMI is to standardize data exchange between different simulation tools. EMTP is compatible with the FMI Standard for co-simulation as master (version 1.0 and version 2.0) and as slave (version 2.0). 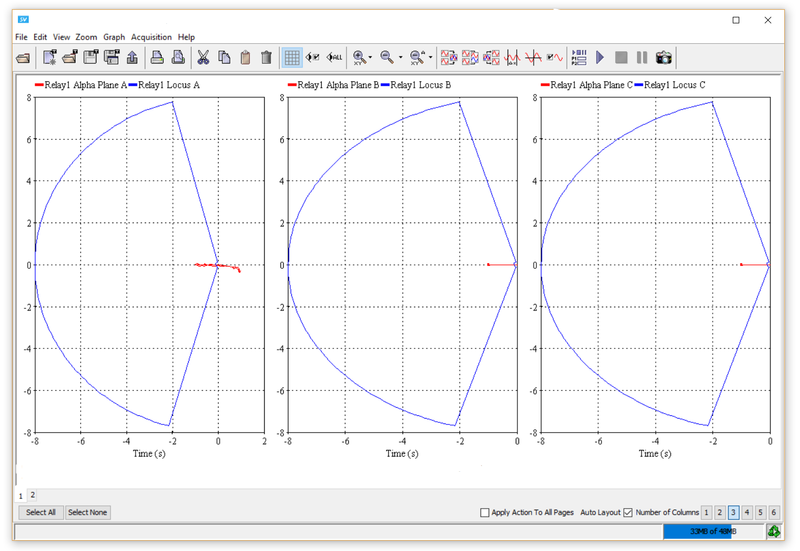 It is an easy to use interface between prototyping tools like Matlab/Simulink® or Modelica® and EMTP which let you benefit from the best of each environment. This new toolbox opens new doors for the simulation and analysis of protection systems. 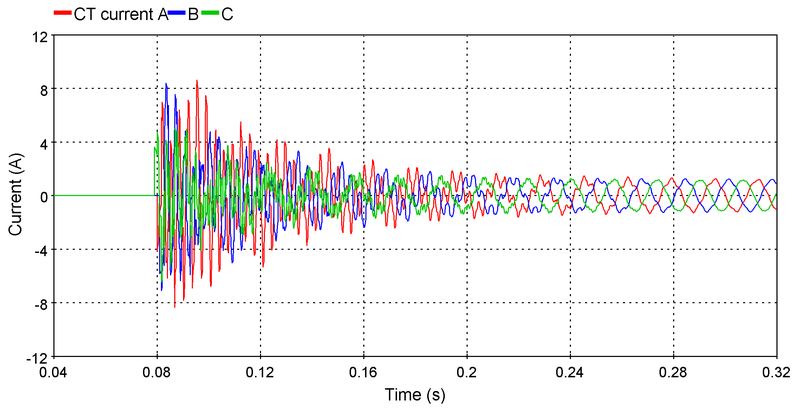 Both steady-state and time-domain simulation options are available. All relay, fuse and thermal element models are solved in time-domain with nonlinear functions, such as CT, VT and CVT magnetization. This new implementation for EMTP allows to achieve highest levels of accuracy for protection coordination and analysis of performance with highly accurate power system models. The models are built to be easily interfaced with Synchronous machine models in EMTP. Each device comes with its own user-interface, comprehensive documentation, and is automatically initialized from EMTP steady-state and load-flow solutions. The control diagram of each device is fully customizable. New exciter, governor and stabilizer models are being added continuously and will become available in the future releases of this toolbox. The LIOV (Lightning-Induced OverVoltage) code allows the calculation of lightning induced overvoltages on multiconductor lines above a lossy soil as a function of the line geometry, lightning current waveshape, stroke location, return-stroke velocity and soil electrical parameters. In order to deal with distribution networks having complex, realistic topology and configuration, the LIOV code has been interfaced with the Electromagnetic Transient Program (EMTP). The LIOV code has been validated by means of several experimental data, related to natural and triggered lightning experiments, and by means of Nuclear Electromagnetic Pulse Simulators and reduced scale models. The analysis of more complex system configurations composed by several lines and power components can be dealt with by using the LIOV-EMTP module. The new Simulink® Toolbox allows to import any Simulink® models, regardless of its complexity, into EMTP designs using two clicks. Minimum intervention from the user is required and the procedure only takes few minutes! 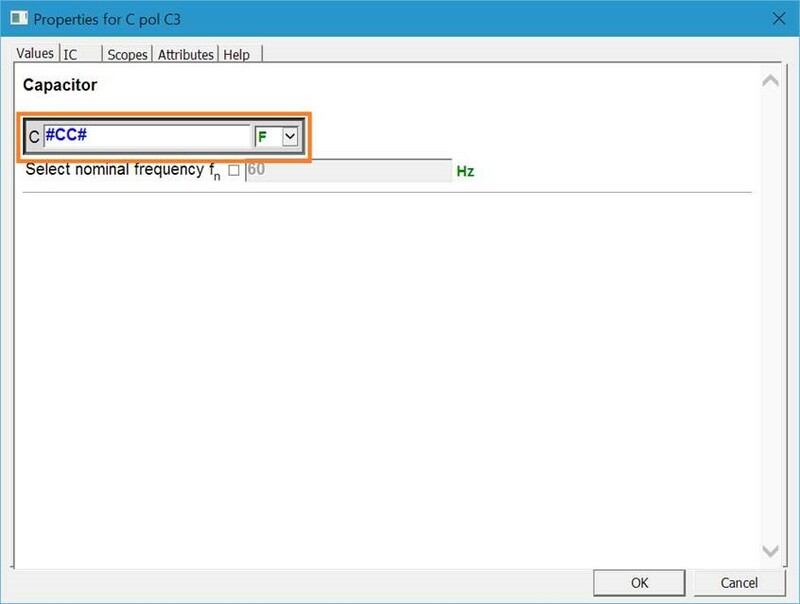 Using the appropriate Matlab® / Simulink® toolboxes and a compiler, a DLL is automatically created and used by this import tool to create the EMTP model with all the necessary connections (pins). Vectors, complex and real signals can be interfaced with EMTP. 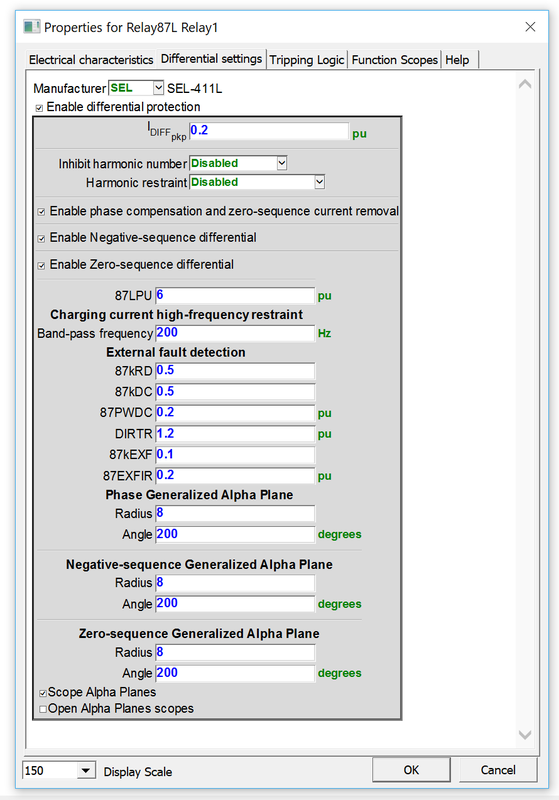 It is also possible to define tunable parameters in the Simulink® model and to assign them in EMTP. This Toolbox streamlines many complex tasks for building and exporting models built in Matlab / Simulink®. The Simulink® based models can be rapidly connected to complex EMTP networks and benefit from the available and unique computational performance and models for large scale power system simulations. Major new option for iterating with “R nonlinear controlled”: - This option is useful for the development of very accurate component models using control diagram blocks interface with the power network. - It is now allowed to iterate with control diagrams and network equations until a specified convergence tolerance. - It will open the door to research and development of advanced/accurate models using block diagrams. New option for pasting images (Enhance Metafile Format (EMF)) from external applications into the Symbol Editor. Added ability to specify attribute location in symbol editor by graphical placement. New symbol preview window for library devices. Improvements in error checking and reporting in user-defined scripts. Enhancements to XML script object: allow modification of attribute values, extraction of updated XML, creation of XML with direct XML text. Various improvements in show/hide/close operation of tool panels. Enhancements to improve handling of Unicode characters in text values, design files and libraries. New option for limiting the number of floating network fixes. New option for saving HTML voltage data only for nodes connected to ideal switches. Added new warning messages for inadvertently shorted voltage sources, transformers, switches and load-flow devices. Changes to allow the transmission of very long character strings when developing masks for the f(u) device (controls). Improved error messaging for named values. Various other improvements and bug fixing. 4. New option in “Define Global Variables” for specifying named values (parameters) for the top design (in addition to subnetworks). New system for helping the user to identify devices/regions causing convergence problems due to data errors or else. Automatic transition to PQ control from PV control with messages for devices with Q limit violation. 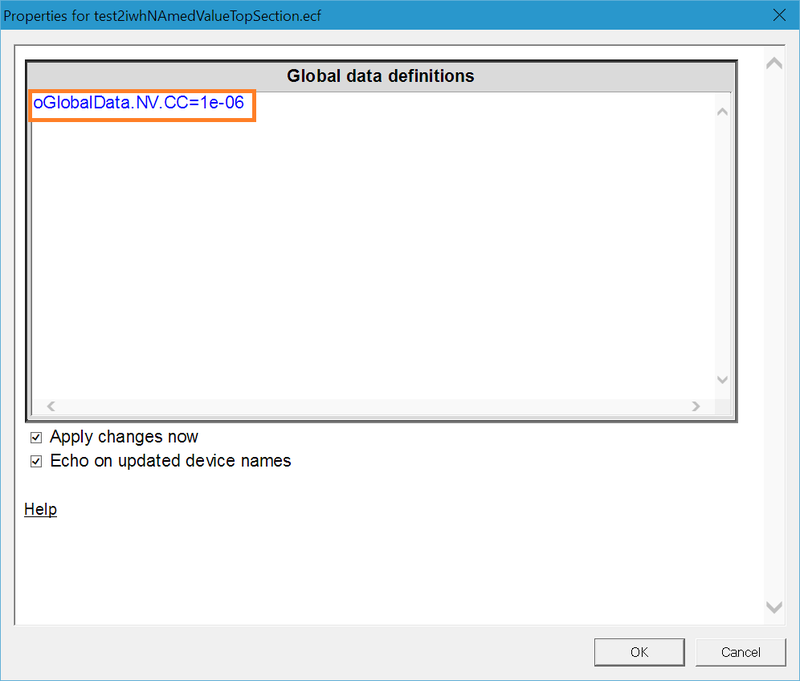 New option for using dynamic names for user-defined DLL parts: allows to combine DLL calls and easily exchange data between DLLs of the same type. New search options for locating DLLs for Toolboxes and user-defined DLLs. Better user interaction and significantly increased productivity! New View Steady-State option: XML based steady-state data, XML data scripting, new options for visualization of voltages and PQ powers. EMTP demonstrates its unsurpassed capabilities for distribution systems in its IEEE-390 bus benchmark setup for distribution systems with network protectors. EMTP has unique simulation options for distribution networks and is capable of seamless transition from multiphase load-flow to time-domain solutions. The RLC device now has the R(f) function in Frequency scan mode. Changed all ideal switch type device models (complete library of switches) for sending a warning message when a switch-type device is shorted using a wire or by signal name. In this version if a shorted switch-type device is closed, it will be forced to open. All devices are now uniformly showing scopes for all options. A new set of load-flow and steady-state web options for visualization of results. The new options are available under the menu EMTP>Simulation Options>Output. In addition, all devices and signals are now presented using the full subnetwork path (without subnetwork identification codes). Changes to device names in libraries to facilitate navigation and selection of devices. 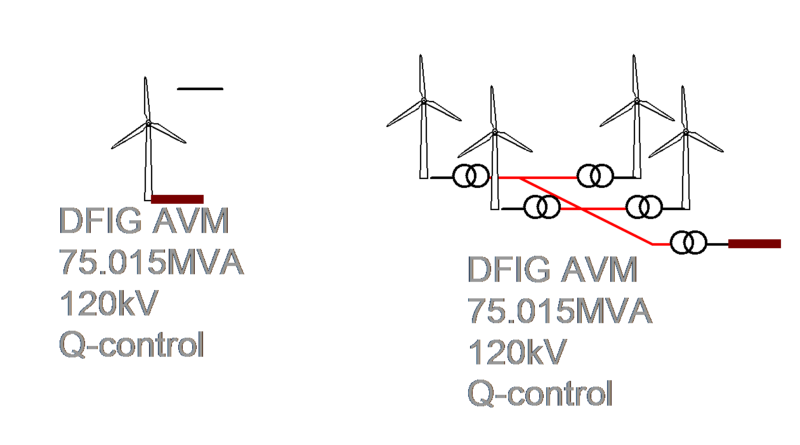 Upgraded wind generator model of DFIG type: improved controls, new protection features, simplified transition from average value to detailed model versions. New wind generator model of FC type: both average value to detailed model versions are available. 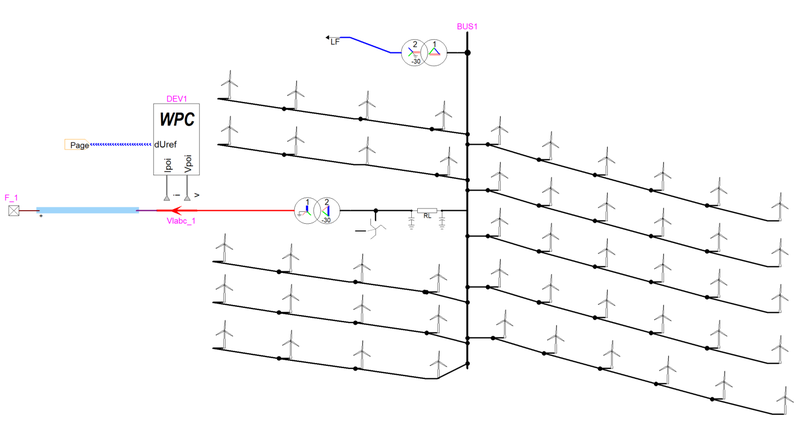 Upgraded MMC-HVDC model with documentation. Offshore wind farm model with MMC-HVDC. Various improvements: improved PQ-load device, uniform presentation of Scope and Observe tabs, improved documentation by generalizing PDF based documentation instead of HTML, automatic copy of selected scopes/observables when moving from 1-phase to 3-phase device versions. New protection system for licencing devices/libraries through the licence file. This is a major change in the software file format. New documentation system including new navigation features. Various improvements and additions to models. The data handling features for numerous models have been simplified to allow for easier loading with separately calculated data. New capability to store complete circuits in libraries. - Palette and can be dragged and dropped into a design just like standard parts. This is a very powerful feature that provides easy access to user circuits and allows you to maintain more complex models through libraries. Subcircuits are now given the Model or Physical attribute in the Subcircuit Info menu. - A model subcircuit is primarily intended to define the operation of the device represented by its parent symbol. - A physical subcircuit is primarily used to contain some of the system. - The devices inside the subcircuit represent actual physical elements of the system. - The physical subcircuit may contain Model subcircuits. - This distinction allows propagating computed data into Physical subcircuits for visualization purposes. Several new scripting methods, including dynamic modification of device symbol using a separately stored symbol drawing. New and improved ScopeView package. A new HVDC benchmark (for 50 Hz and 60 Hz networks) originally developed by Professor Vijay Sood (University of Ontario Institute of Technology) is now available upon request. This work was prepared in collaboration with Sébastien Dennetière (Électricité de France) and École Polytechnique de Montréal. The DLL is totally independent from the EMTP-RV code. - You can use any programming language capable of generating standard DLLs. - Any number of DLLs can be used in a given design and use totally arbitrary names and locations on your computer. There is no need to link with the EMTP-RV code. You just follow the DLL plug-in standards and specify in EMTPWorks. The DLL plug-in standard for EMTP-RV is basically a set of specific methods that EMTP-RV will try to discover by interrogating the DLL. You can create models that can interact intimately with EMTP-RV computation methods. - This means that you can program “truenonlinear” (iterative) models, models that become fully integrated without any time-step delay into the EMTP-RV main system of equations and control models for receiving and sending control signals from a black-box type device. - The DLL can have control pins and power pins and any number of pins! - It can use your own symbol and data input design. Basically, you can develop and use models as if you were an EMTP-RV developer! The available capabilities will open the door to the development of advanced models in addition to providing an extremely powerful environment for research on new solution techniques and models. - It is now possible to build advanced devices and test them within large scale practical networks assembled in EMTPWorks. Click on the device name and it will show you where the device is located on the screen! This option, available through the Symbol Editor,is a major change in EMTPWorks that required a very large number of code changesin all device maintenance options and scripting techniques. It allows encryptionto protect device content from access and/or modification. This is a very useful optionfor protecting subcircuit contents and for hiding proprietary contents from users. Passwords can be easily entered and maintained by the original users who develop the encrypted devices. Password protection is available at any hierarchy level. Version 2 files in previous versions of EMTP-RV. This is also true for new libraries. New drawing and editing tools. Various shapes can now be drawn and edited directly on the drawing of the design. These tools can be used for documenting the design and representing specific design regions. The shapes created can be modified, colored, and layered over existing schematic symbols. New options in “Make Unique Type” command. It is now possible to apply the command to all subcircuit contents. This is an easy method for completely detaching a subcircuit and all its contents from all other subcircuits of the same type. The new command and all its options are also available through scripts. All devices with scripted masks now programmable. The programming uses device object data and methods. This means, for example, that the data of a built-in 3-phase transformer can be modified from any upper-level mask. Many new script methods for services and enhanced programming techniques. New State-Space device for power systems. This device allows entering state-space equation matrices and solving state-space equations simultaneously with electrical network equations. New State-Space device for control systems. New transformer ratio control option. New load-flow or steady-state visualization option. Load-flow phasors can be placed on the schematic (“View Steady-State” in options.clf). New options for the Frequency Scan feature. 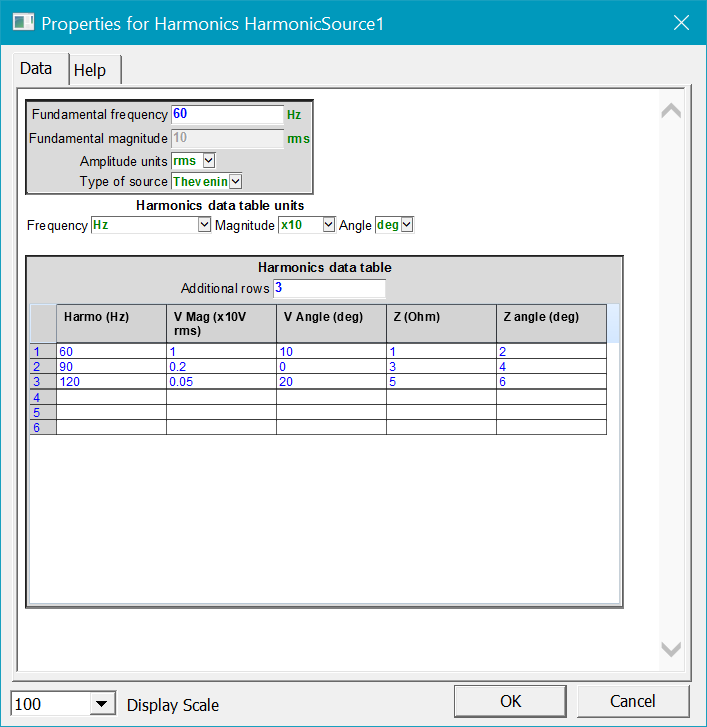 It is now possible to perform a frequency scan and match source frequency. Improved error messaging and testing of user errors. A large number of changes have been made to enhance these functions. 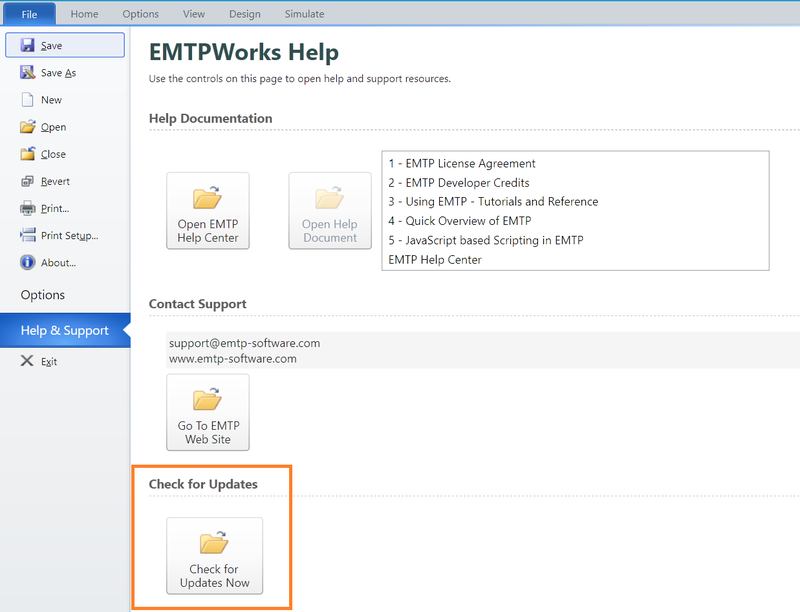 ’Using EMTP – Tutorials and Reference’. This document is now also available in PDF format, accessible from the online documentation and can be printed for offline use.